What’s in a cocktail ring? 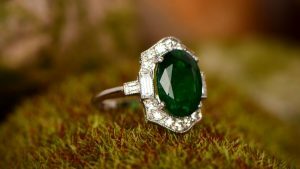 Although cocktail rings have always contained diamonds, emeralds, rubies and more, the desire for less expensive cocktail rings has always been present for those not lucky enough to be able to spend thousands of dollars on a single, occasional ring. 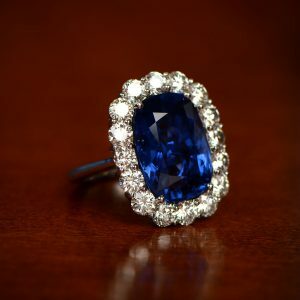 Because of this, cocktail rings using colored glass or other, cheaper materials, have been around for several decades. In TV shows, you often see someone having an expensive ring valued, only to be told it’s actually “costume”. In this case, paste is actually a type of lead glass that is very dense. Due to its density it has a high refractive index, simulating the effect of a real precious stone. Costume cocktail rings can reach upwards of thousand dollars, and is not exactly something that can be bought for loose change. Good cocktail rings are spectacular to see. Designers can exercise a little more freedom in the materials and the styles they employ, and this makes for exciting combinations of colors and shapes. The lack of formal requirements means subtlety and understatement are things best left to other occasions. That doesn’t mean that the rings are gaudy or distasteful, far from it, it just means that they are a little harder to miss! An unusual aspect of cocktail rings is that there is no restriction to wearing just one. If your wallet, and your hand, can take it, you could even wear one on every finger. Collecting vintage cocktail rings is a fantastic idea, but only for serious collectors, and for those who can care for them properly. Mixing and matching colors, styles and sizes is a lot of fun. Make sure to push the edges of your usual limits a little, and indulge yourself in these beauties of the jewelry world. Here are some of the rare vintage cocktail rings from our collection. To view the entire collection, click here.